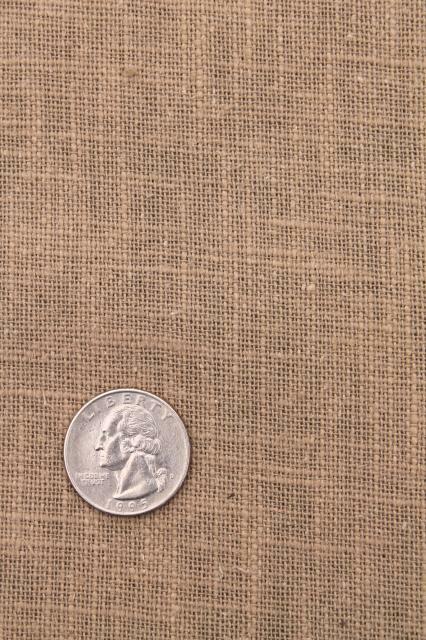 Lot of 80s vintage linen weave fabrics, probably cotton / ramie or cotton / linen blends, we think. 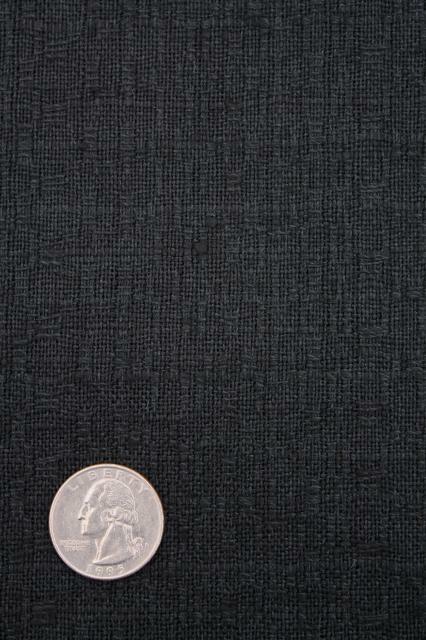 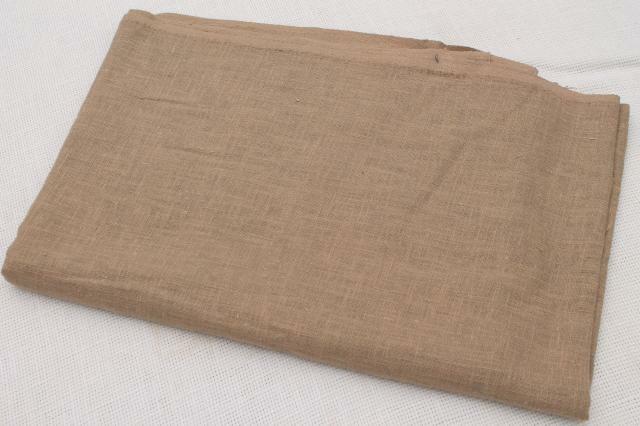 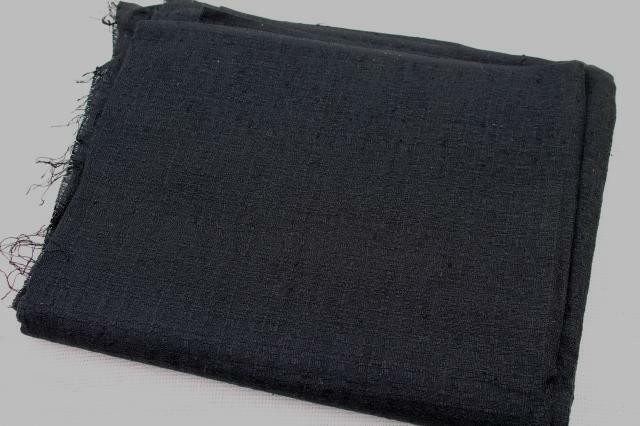 The black fabric is 46" wide x 3 yards, and the tan colored fabric in a 'flax' shade measures 44" wide x 2 1/2 yards. 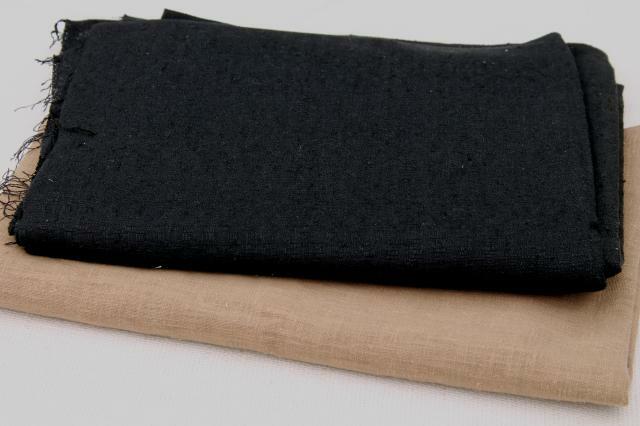 Both of these pieces have some surface soil and a few spots from storage - we haven't washed these as they've never been laundered.